Please contact us by phone or email if you need support, or if you can be a witness. Be careful what you say on the phone – we can arrange a meeting in person. 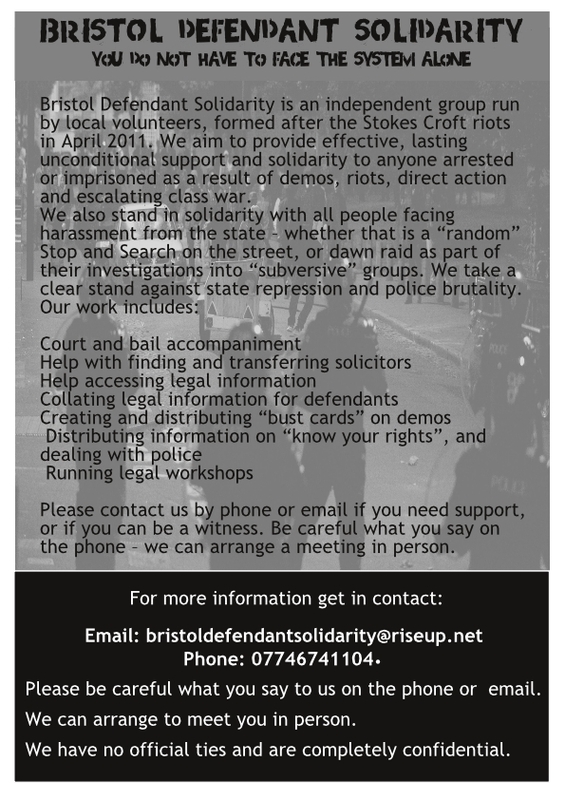 Pingback: Support for Stokes Croft prisoners bristol (u.k.) « Act for freedom now! Pingback: Bristol ABC Publishes Political Prisoner Support List(U.K.) « Act for freedom now!